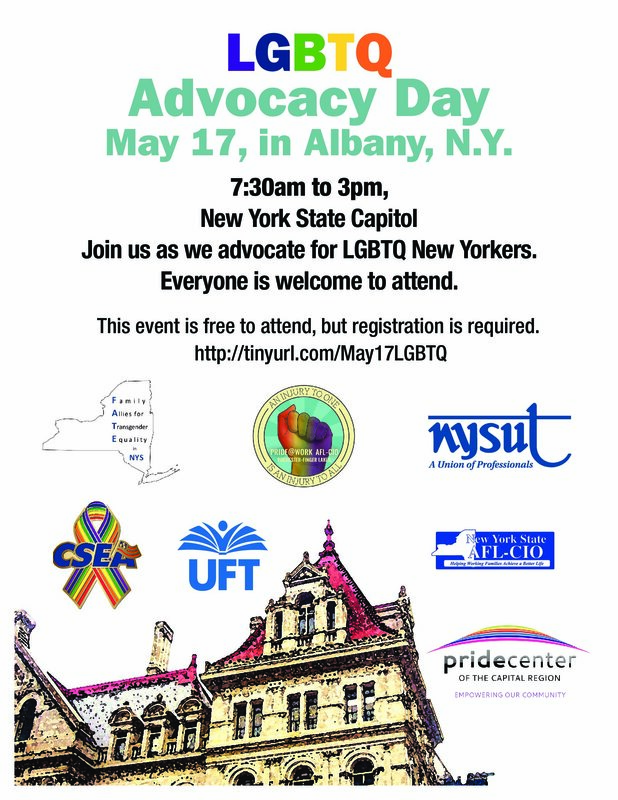 Please join us Tuesday, May 17th, 2016, from 7:30 AM to 3:00 PM, in Albany, New York, at the New York State Capitol as we advocate for LGBTQ New Yorkers. Everyone is welcome to attend. This event is free to attend, but registration is required. Click here to register. Please register by: May 13, 2016.